Sportsbetting Poker is a micro skin of BetOnline. It is on the Chico Poker Network and operates alongside BetOnline. The two sites are identical except for the graphics. BetOnline acquired Sportsbetting Poker in 2013. Sportsbetting Poker accepts U.S. players. There are no state restrictions. What I like about Sportsbetting Poker – The games at Sportsbetting Poker are great. The network does a great job of attracting recreational players and discouraging serious ones. The software is simple and stable. The first deposit bonus is reasonable. Payouts are made faster than average U.S. poker sites. What I don’t like about Sportsbetting Poker – The software at BetOnline is plain. There isn’t much traffic outside of No Limit Hold’em. There are no stud or mixed games. Players can only get one free withdrawal each month and it must be requested on a Friday. There is little discussion about the Sportsbetting Poker brand. It mostly attracts sports bettors. BetOnline, its twin site, receives high marks from players. Players throughout the world have a number of deposit options. These include digital wallets, cryptocurrency and bank transfers plus a variety of credit card deposit options. Visa is a popular debit and credit card. BetOnline accepts both, including those issued by US banks and prepaid international debit cards. The deposit minimum is $25. The maximum is $5,000. Players depositing by Visa will need to fill out a verification form before a withdrawal. Mastercard works just like Visa. The deposit limits are $25 to $5,000. Players depositing by Mastercard will need to fill out a verification form before a withdrawal. Sportsbetting Poker is one of the few online poker rooms that accept American Express. The minimum deposit is $25. The maximum deposit is $5,000. Players that make a withdrawal request must submit a credit card authorization form. Bitcoin has become the most popular online poker deposit option for serious US players. The deposit minimum is $20. The maximum is $25,000. Litecoin is another cryptocurrency. The deposit minimum is $20. The maximum is $25,000. Sportsbetting Poker offers MoneyGram deposits in amounts up to $600. The fee is covered on deposits of $300 or more. Cash transfer deposits may be made at MoneyGram affiliate locations, or by credit card or bank transfer on the MoneyGram website. Players will need to contact the site to get the receiver information before initiating the transfer. Players may send money from a US bank account to Sportsbetting Poker. The first step is to contact Sportsbetting Poker to get the receiver information. After that, contact your bank to send the funds. The minimum deposit is $1,000. There is no maximum. A check or money order may be sent to Sportsbetting Poker. Contact support to get the mailing address. Funds are added to your account once the check or money order clears. The minimum for money orders is $300. Checks have a $1,500 minimum. There is no maximum. Skrill is available to many players outside of North Americas. The ewallet focuses on the European market. The minimum deposit is $10. There is no maximum. Players may fund Skrill through a credit card or bank account. This option is not available in the US. Sportsbetting Poker offers several withdrawal options. US players will find cryptocurrencies, checks and wires available. Players in many other countries may use Skrill. Some withdrawal options have a fee. This is waived once per month up to $50. The cashout must be requested on a Friday to qualify. Bitcoin is the most popular withdrawal option at Sportsbetting Poker. It is a cryptocurrency that trades like a commodity. The minimum withdrawal is $20. The max is $10,000. Litecoin is similar to Bitcoin. The limits are the same with withdrawal minimum is $20 and the max is $10,000 per transacton. Checks are available in amounts up to $2,500. These arrive in one to two weeks. The fee is $50. MoneyGram withdrawals are paid in amounts up to $400. The fee is $101. These take a day or two to be processed so you need to play ahead if you want to use this method of withdrawal. Bank wires are paid in one to two weeks. The fee is based on the size of the withdrawal. The maximum bank wire withdrawal is $24,900. Skrill is available to many players outside the US. It is an ewallet. The maximum withdrawal is $9,900. The fee is $20. Skrill withdrawals are processed in a day or two. Players will be able to move Skrill withdrawals to a bank account or debit card. Sportsbetting.ag is related to BetOnline. While the company had a rough start when it launched in 2011, its reputation is now as strong as it gets. BetOnline and Sportsbetting.ag pay players in a reasonable time frame and have never involved in any large-scale scandals. Sportsbetting.ag specializes in sports betting. It is known to come out with early lines and the ability to pay winners as much as $25,000 a day. There are no player complaints about non-payment. Sportsbetting Poker offers few promotions. This helps it attract recreational players. One promotion it offers that is generous is the 100% up to $2,500 first deposit bonus. New players receive tickets to $5,000 worth of freerolls. There are about $250,000 in large guaranteed tournaments each week, including $130,000 every weekend. New players receive a 100% up to $2,500 first deposit bonus. The bonus clears at a rate of $5 for every $15 paid in cash game rake and tournament admin fees. That equals 33% Sportsbetting Poker rakeback. Players have 60 days to clear the bonus. Any portion not cleared within 60 days expires. Players keep any amount already awarded. Sportsbetting Poker offers Texas Hold’em, Omaha, Omaha Hi/Lo, Seven Card Stud, Seven Card Stud Hi/Lo, Americana and 32 Card Draw. There is little action outside of Texas Hold’em, Omaha and Omaha Hi/Lo so you should consider these three before playing other poker games. Most of the Texas Hold’em action is no limit. The most popular no limit blinds are $0.01/$0.02 up to 2/4. Games are spread up to 5/10. Fixed Limit Hold’em is available from $0.05/$0.10 up to $1.50/$3. There is little action at these tables. Pot Limit Hold’em is available in the same blinds as no limit. There is virtually no Pot Limit Hold’em action. Pot Limit Omaha is the second most popular game at Sportsbetting.ag’s poker site. The popular blinds range from $0.01/$0.02. The highest active limit is $2/$4. Pot Limit Omaha games are spread up to $5/$10 so each player can find a level that is optimal to play. Omaha Hi/Lo is available in pot limit and fixed limit. Pot Limit Omaha is spread at limits from $0.01/$0.02 up to $2/$4. Most limits have at least one table during peak hours. Fixed Limit Omaha Hi/Lo is not popular. There are rarely games active. Seven Card Stud and Seven Card Stud Hi/Lo are available at Sportsbetting Poker. There are few active stud games to pick from and you should be able to find something to fit your needs. Sportsbetting Poker offers dozens of tournaments each day. Most are No Limit Hold’em. There are some Pot Limit Omaha and Pot Limit Omaha Hi/Lo tournaments. Guarantees start at a few dollars and run up to $50,000. There are more than $250,000 in tournament guarantees every week. Sportsbetting Poker offers a $100,000 guaranteed No Limit Texas Hold’em tournament on the last Sunday of the month at 7pm ET. The buy-in is $109. There are dozens of satellites for this monthly event. The $50,000 guaranteed tournament is held on Sundays at 7pm ET. It is not spread on the last Sunday of the month. This tournament has a $90+9 buy-in. There are dozens of satellites for it each week. Sportsbetting Poker’s software is easy to download. The site offers a Windows and Mac version. Most machines will be able to run Sportsbetting Poker’s software. It is not resource intensive. Sportsbetting Poker’s software is stable. It has few features. Players will find text and graphical hand histories. Notes are available. Beyond these items, there is little in the way of features provided by Sportsbetting Poker’s software. It is quite simple in design. What network is Sportsbetting Poker on? Sportsbetting Poker is on the Chico Poker Network. The network was previously known as Action Poker. Does Sportsbetting Poker accept American players? Yes, players in the U.S. may play at Sportsbetting Poker. Action Poker, Poker in Canada, Tiger Gaming and BetOnline are among the other skins on the Chico Poker Network. What states are banned at Sportsbetting Poker? All 50 states are welcome at Sportsbetting Poker. How do U.S. players deposit at Sportsbetting Poker? Americans can deposit by Visa, Mastercard, American Express, Bitcoin and cash transfer. How do players outside the U.S. deposit at Sportsbetting Poker? Players in the rest of the world may deposit using Skrill, Neteller, Ecocard, Instadebit and regional debit cards like Delta and Switch. All U.S. deposit options are also available to players in other countries. How do U.S. players withdraw from Sportsbetting Poker? Bitcoin is becoming the most popular withdrawal method for U.S. players. This is an electronic currency that is anonymous. The Bitcoin wallet will transfer the funds to a player’s bank account or allow a player to withdraw it at an ATM. The fee for Bitcoin withdrawal is two percent of the transaction. The cap is $3,500. These are processed in about one day. U.S. players may also withdraw by check or cash transfer for a fee of $50. Some cash transfers have a $70 fee. Checks arrive in one to two weeks. Cash transfers arrive in one or two days. Players may receive one free withdrawal each month. The request must be made during business hours on a Friday. How do players outside the U.S. withdraw? In addition to the methods available to players in the U.S., Neteller, Skrill, Instadebit and Ecocard are available. The fee is $20. The fee is waived once per month if the request is made during business hours on a Friday. 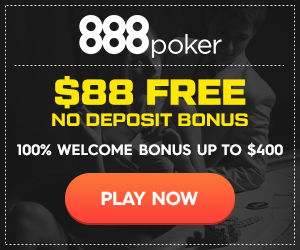 What is the first deposit bonus at Sportsbetting Poker? New players receive a 200% up to $1,000 first deposit bonus. It releases in five increments. Players have 120 days to clear the bonus before any remaining amount expires. Does Sportsbetting Poker offer reload bonuses? There are reload bonuses offered a few times each year. No Limit Hold’em, Pot Limit Omaha and Pot Limit Omaha High/Low are spread. There is fixed limit, pot limit and no limit. The most popular games are No Limit Hold’em, Pot Limit Omaha and Pot Limit Omaha High/Low, in that order. Does Sportsbetting Poker offer rakeback? There are no rakeback deals at Sportsbetting Poker. There is also no VIP program. The only comparable perk is that POP Points may be used to enter certain tournaments. Where is Sportsbetting Poker licensed? The site does not hold a gaming license. It is located in Panama. Is there a Mac platform at Sportsbetting Poker? Yes, the site offers a Mac platform. Are there any table mods? No table mods are available. Does tracking software work at Sportsbetting Poker? Hold’em Indicator has a tracking software and HUD that work at Sportsbetting Poker. None of the other popular tracking software works on Chico Poker. How do I contact Sportsbetting Poker Support? Support may be contacted by phone 24 hours a day, 7 days a week at 888-843-9027. The email address is [email protected].